Ice cream maker Ben & Jerry’s has added a new flavor – the “PeCan Resist”. The company (part of Unilever) is the first to admit that it is an anti-Trump ice cream. This kind of statement fits the brand. 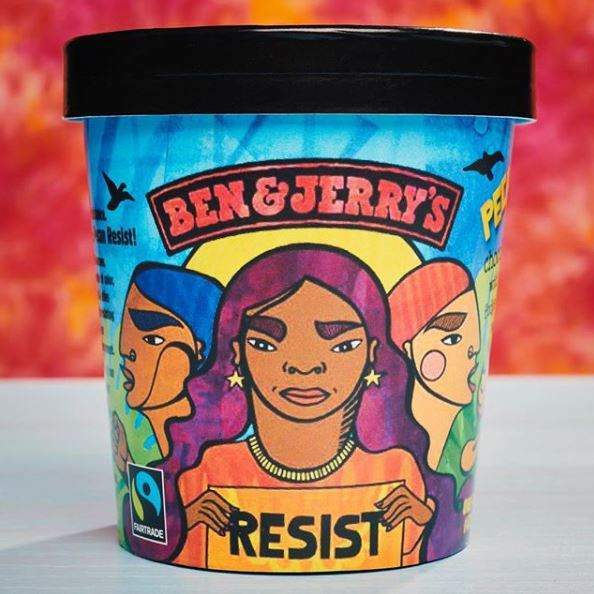 The name “PeCan Resist” is a clever wordplay merging the word “pecan” (the nut that is part of other ice cream flavors) with “We Can Resist”, the social movement. By supporting the “We Can Resist” movement, the ice cream maker support four organizations that are known to be critical of the current US president: The anti-racism movement Color of Change, Save The Earth which supports sustainability, The Women’s March which support women in politics, and Neta which is a platform for progressive ideals at the Texas-Mexico border. Part of PeCan Resist’s profits will be donated to these four organizations. We at Ben & Jerry’s didn’t want to remain silent any longer and wanted to voice our opinion of President Trump’s policy in the United States. We believe that his policy destroys decades of progress in the areas of discrimination, gender equality, climate change, LGBTQIA rights and refugee and immigration rights,” explained the ice cream maker’s spokesperson. An ice cream brand that makes political statements is not exactly mainstream. However, we see more and more brands becoming vocal on all kinds of topics. In contrast to a few years ago, brands are taking a stand. From a branding perspective, the message should fit the brand. In the case of Ben & Jerry’s, it is part of the corporate strategy to communicate that customers are not just buying an ice cream, but associating with a movement. Such a strategy can pay off big time, as the Nike’s Colin Kaepernick advertisement showed. Despite the controversy (it was seen as criticizing president Trump) and being boycotted, the ad raked in earned $6 billion. Tip Top PR Wishes Youa and Your Family Happy Thanksgiving!